Cool, refreshing, and light, this all natural mango lemonade is made with fresh fruit, honey and ready in only 5 minutes. 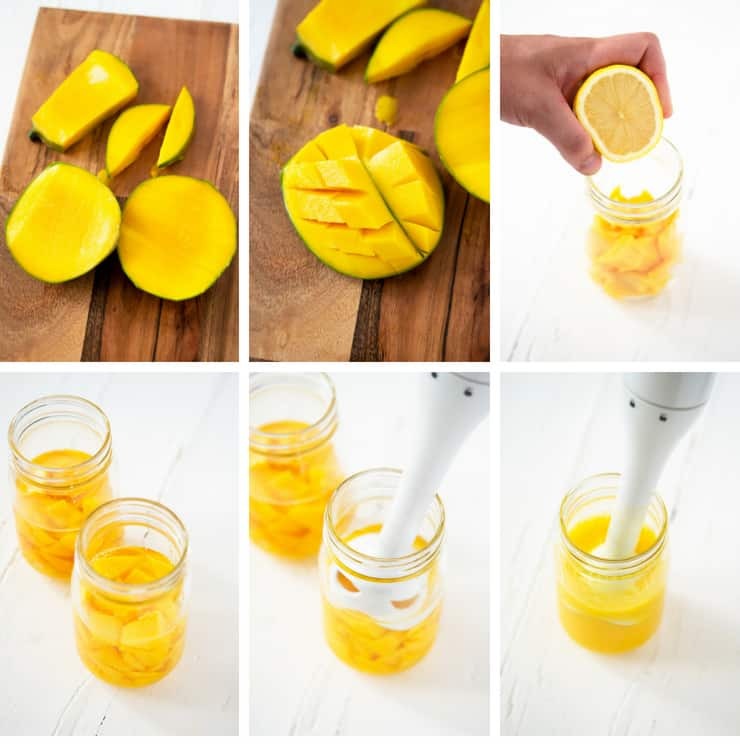 With tips on the easiest way to cut a mango and cleaning up, this summer drink couldn’t be simpler and really hits the spot on hot summer days! Yesterday, the kids and I spontaneously hit up a local splash pad with some friends. It was lots of fun for all of us, but we arrived back home tired, hot, and in serious need of an ice cold summer drink. I pulled a lemon and some mangoes out of the fridge, plugged in my handy dandy immersion blender (if you don’t have one – you need one! ), and just a few minutes later we had this super refreshing, all natural mango lemonade! Making homemade lemonade is so easy, and I love adding other fruits to put a fun spin on the flavor. My all natural pineapple lemonade from last summer is still a household favorite! All you need are lemons, water, honey (optional), and whatever fresh fruit or juice you like. For this mango lemonade, I used fresh mango chunks and blended them with the other ingredients right in the glass. It only took 3 minutes to make and I didn’t have to clean the Vitamix! Place a squirt of dish soap and some water in a glass, and turn the blender on. Then just rinse it under running water! It seems the older my kids get, the pickier they get too. I have near daily conversations with my 5 year old about why I won’t take her to the drive through or buy certain snack foods that she sees her friends eating. 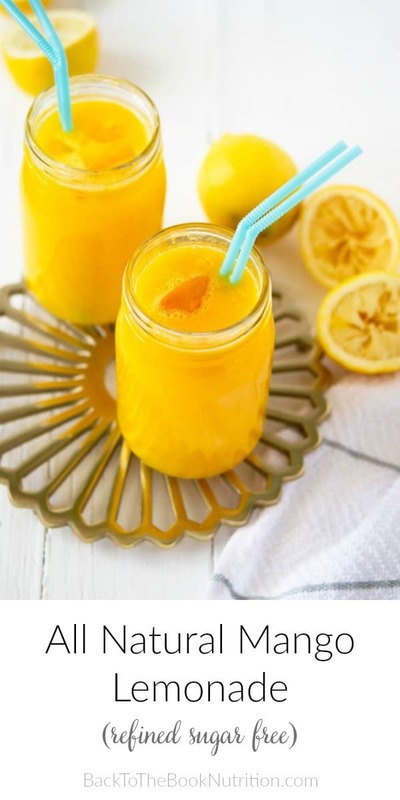 But, when I make homemade treats using real foods straight from nature – like this mango lemonade – they see that healthy, whole foods really can be just as good or better than junk food. Plus, I get to talk to them about how God uses these foods to nourish our bodies. For more healthy treat recipes, download my new eBook, 25 Sweet Treats for Summer! Cool, refreshing and light this all natural mango lemonade is made with just 3 ingredients and ready in only 5 minutes. Made with fresh fruit and honey. Use an immersion blender to blend ingredients in each glass. Add ice and enjoy! If serving more than 2, multiply recipe as needed and blend in a standard blender, then pour over ice to serve. This looks so delicious and refreshing! And I love that it’s healthy and easy. ???? It looks delicious, am definitely going to try! Just one question… can I use stevia instead of honey? You definitely could, Brenda – enjoy! I LOVE the flavour combination happening here. What a great refreshing drink for a hot summer day. The tart lemon and sweet mango would be so delicious together. I must give this a try soon. Thanks so much, Gloria – it’s definitely perfect for summer! I would love to taste this and love these two flavors.A perfect drink on a hot day. Adding mango to a lemonade sounds delicious! And what a great tip of cleaning an immersion blender, why haven’t I thought of that! Honey is one of my favorite sweeteners! This looks so refreshing for a summer day! This looks absolutely delicious. Perfect for summer thirst-quenching. I love the taste of mango. Thanks, Kacie. Mango’s one of my fave’s and it really pairs well with the lemon! Yes! Anything mango is up my alley. This looks so refreshing for a hot day. I’m with you, Tina – mango is definitely a summer favorite! Mango is such a good fruit. It’s so good for you and the flavor is just fantastic. Love the recipe! I agree, Constance! Thanks for your comment. mmm, this is so good. I’m trying to cut the amount of sugar we eat, so I really like that you choose honey as a sweetener. Mango is a perfect fruit for such a tasty drink, I would say it’s a great treat for kids. What a wonderful refreshing summer drink! And so easy! Def on my to-make list! Awesome – hope you love it, Jacqueline! I love mango as it is, and I love the fact that it has different flavor. which helps brings some twist into my juicing life. Yes, they add such a great flavor and a smooth texture! This sounds so delicious and refreshing. I can not wait to try this out. I love mangoes and I never thought of putting them in my lemonade. What a bright cheerful healthy drink. 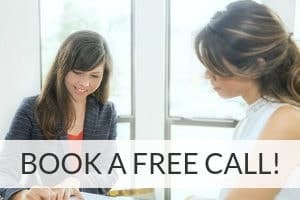 I’ve been looking for natural sugar free drinks to make for my family. I’m going to save your recipe. No more sugary drinks for us! So refreshing! My husband loves mango flavored everything so he will be so excited about this! Oh, he’ll love this one, Samantha! 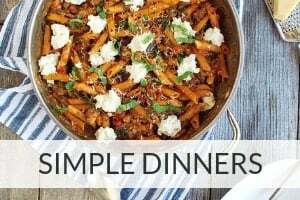 I just got an immersion blender and am so excited to try it out with this recipe!! Love the cleaning tip too! The immersion blender is definitely one of my favorite kitchen gadgets. I hope you love yours too, Stephanie! I love simple recipes like this with wonderfully wholesome and nourishing ingredients. I will definitely be making this when summer rolls around again and mango season is upon us!